Dolphin Motorhomes has selected Caravan Guard as its insurance partner and this means our customers are rewarded with a club insurance discount. Highly recommended - It's reassuring that existing customers rate Caravan Guard 4.6 out of 5 for service and value for money on leading review website ReviewCentre.com. Extensive cover - Enjoy great policy benefits backed by one of the UK's leading insurers RSA (Royal & Sun Alliance Insurance plc). More savings - Take advantage of big discounts for claim free owners and various security devices including immobilisers, Thatcham CAT 1 approved alarms and Caravan Guard approved tracking devices (call for more details). PLUS! 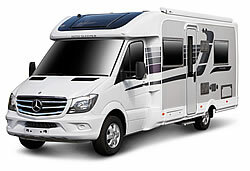 Free 10 days cover from collection if buying a new or used motorhome. Prefer to talk? Call Caravan Guard on 01422 396 761. Call Caravan Guard to activate Free 10 Day Insurance on 01422 396 749. 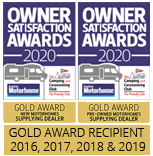 Dolphin Motorhomes Limited is an Introducer Appointed Representative to Caravan Guard Limited. Caravan Guard Limited is authorised and regulated by the Financial Conduct Authority. Caravan Guard's ReviewCentre.com rating which is based on 589 reviews and other details mentioned are correct as of 08/12/2016. Minimum premiums apply. Free 10 Day Insurance is available from collection of any motorhome bought from Dolphin Motorhomes. It is the customer's responsibility to contact Caravan Guard to arrange the Free 10 Day Insurance. Free 10 Day Insurance is subject to underwriting terms and conditions and cover limitations. 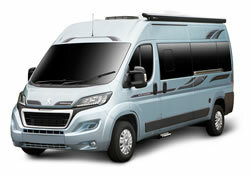 For a competitive motorhome insurance quote contact Safeguard. At Safeguard, they have built a reputation for understanding their customers and their needs. They use their specialist knowledge and expertise to get motorhome enthusiasts like you their cheapest price. They also offer an extra special offer for you: 12 months' insurance for the price of 10. This offer is exclusive to new customers who get a quote and take out that cover between 1st January 2015 and 1st January 2017. This offer isn't available online so call on 0800 588 4956 and tell them you found this offer at Dolphin Motorhomes. The offer will be applied as a 17% discount. If you choose to pay by direct debit, your discount will be applied to each of your 12 monthly payments on a pro rata basis. Please be aware that the offer excludes fees, charges and any other products purchased and is not available with any other offer. The offer may be withdrawn at any time. Safeguard is a division of Swinton Group Limited. Registered in England number 756681. Connected for the purposes of the Insurance Companies Regulations 1981 to MMA Insurance plc and Gateway Insurance Company Limited. Registered office, Swinton House, 6 Great Marlborough Street, Manchester, M1 5SW. Authorised and regulated by the Financial Services Authority.